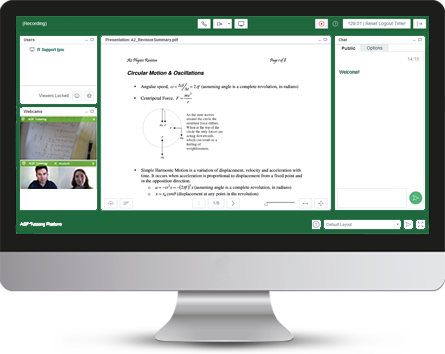 The AGF Tutoring platform is a bespoke, lightweight, customized videoconferencing platform, especially designed for the purposes of the optimization of online education. 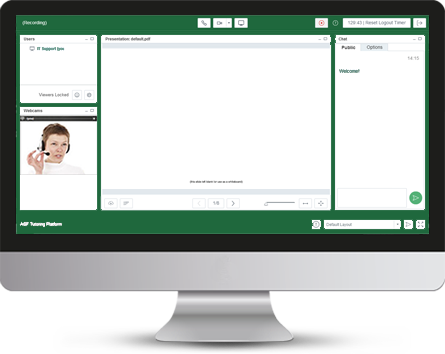 The platform is extremely light, stable and user-friendly, rendering it eminently well-designed for the purpose of delivering first-class, one-on-one online tutoring. On this page you can get a taste of this experience. You do not need to download any additional software or make any installations; you just click on the GET STARTED button below and the platform will commence automatically. You must login to access the rest of this page. Make sure that you use either Google Chrome or Firefox as your preferred browser. Internet Explorer and Safari may cause conflicts. Also make sure that you do not have many other windows/tabs open when initializing the platform. Additionally, ensure that social media applications, such as Skype, are disabled to ensure optimal performance. 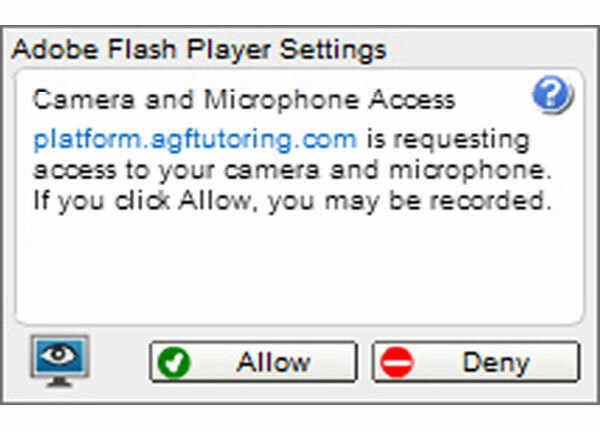 The AGF Tutoring platform requires Adobe Flash Player to run. In case this is not already installed or enabled in your browser you will see a notification when trying to enter a session. Click here for instructions on how to resolve this. 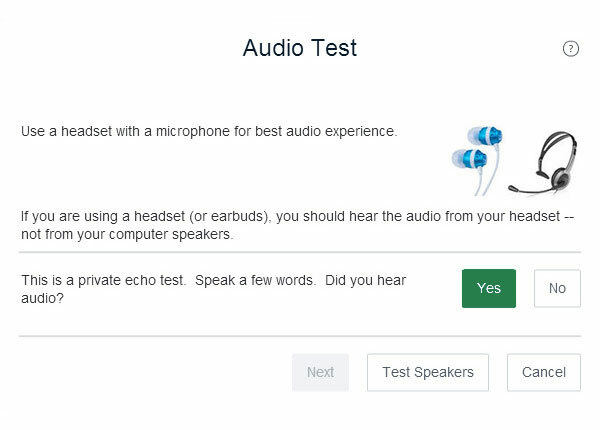 We would recommend that you utilize a plugin set of headphones/mic or wireless headphones/mic set. These should be connected before initializing the platform either by USB or Bluetooth respectively. If you wish to use an external webcam or other device then please make sure that these must be connected to the USB port before initializing. It is recommended that these accessories are connected via USB rather than wirelessly. Make sure that both headphones/mic and/or webcam are activated before initializing the platform. Accept the webcam that you wish – either the webcam built into your computer or the external webcam. 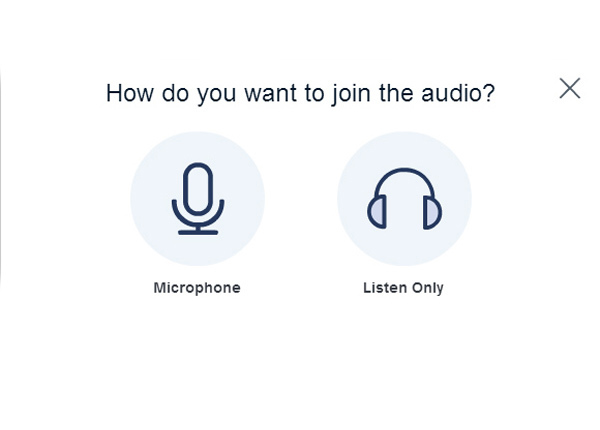 You will be also prompted to join the audio. Select your microphone. 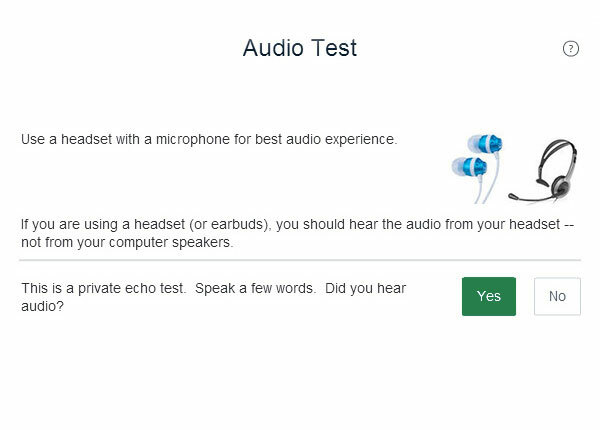 If you can hear audio click on “Yes”, otherwise “No” will connect you to Flash audio. Select your headphones/mic from the dropdown menu. Usually it is “Default”. 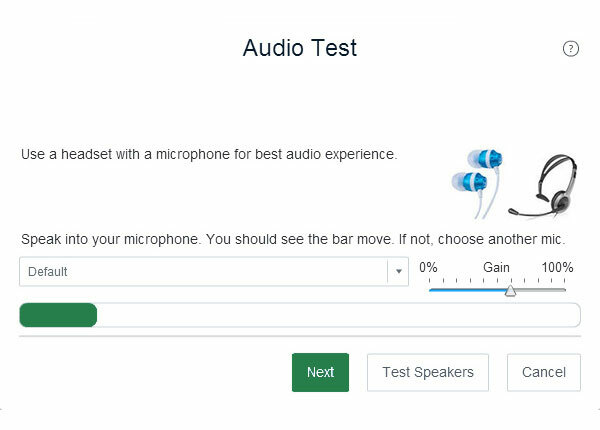 You will be prompted to test your headphones/mic – make sure that you successfully test your headphones and your mic. Please, keep in mind that all sessions are recorded. You ought to try the functions of the platform; try maximizing and minimizing the webcam window; try sending a message via the chat window on the right. Tutors should also try the functions of the central whiteboard and import and upload files. In case you experience an issue with the AGF Tutoring platform, please visit the troubleshooting page. Have fun with the AGF Tutoring platform. We look forward to tutoring you soon.